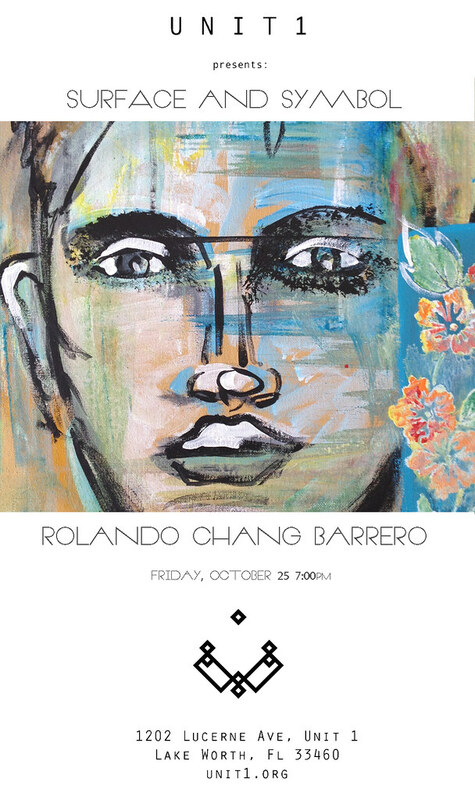 Lake Worth exhibition space UNIT 1 is pleased to announce a solo exhibition by Rolando Chang Barrero. Simplistic descriptions fail the oeuvre of Barrero’s work because as one approaches the complex whirl-wind of activity and energy that surround the man like a more benign haze of the Charlie Brown character “Pig-Pen”, it slowly becomes apparent that Barrero’s art is not simply embedded in the beautiful and compelling objects that he creates, but it exists also as an energy that exudes forth from him-radiating into an experiential realm that is antithetical to “objectness” itself. In fancy artspeak we would call this an “aura”, and although the word has different meanings in different milieus- it’s exciting to find proof in this day and age that objects with auras have so openly defied their supposed death knell. But there is a dark-side, after all, to the pretty little birds and the beautiful boys, and if you care to venture below the surface into the depth of the symbol, you might find evidence of a life lived with hard lessons and hard truths. There are traces here of catastrophe, addiction, sickness and pain, and these phantasms linger behind the pretty twirl of every painted eyelash. It is those dark valleys that make every normal day so worthy of celebration, and so if one survives the trials and tribulations, the self once dissolved, fermented and distilled, might with time and care coagulate into something so beautiful as this work and the man who has made it. It is a great pleasure to hand over the keys of UNIT1 to Mr. Barrero, I really only know that there will be a lot of stuff to look at, but I can tell you with certainty that it will be well worth the visit. Please join us after the opening reception for a performance by Jean Jacket, an exciting duo out of Miami recently signed with West Palm’s Decades Records. UNIT 1 is an exhibition space and independent media production company founded by Jacques de Beaufort. The gallery showcases artists in all media working in challenging forms that exist somewhere near the EDGE or beyond it. The space also hosts special events, film screenings, performances, and happenings driven by UNIT 1 participants and friends. The gallery is open only during events and by appointment. For more information visit www.unit1.org and like Unit 1 on Facebook athttps://www.facebook.com/unit1projects.